Four Seasons of Fairies ~ Release! 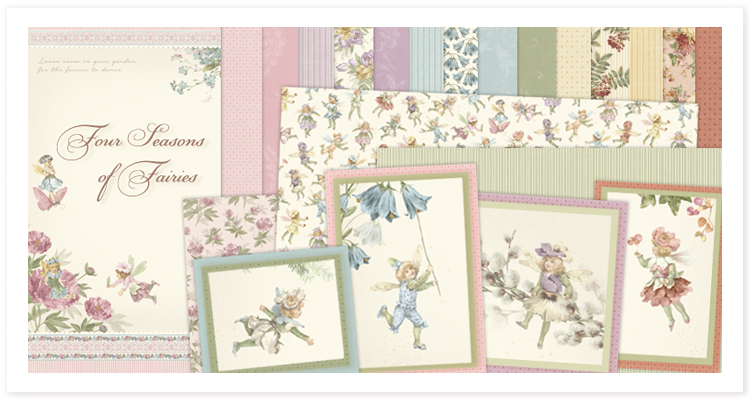 Pion Design presents the limited edition collection Four Seasons of Fairies. A collection that will have you enter a world of wonder and that captures the magic of the changing seasons. Featuring inspiring quotes and enchanted patterns in seasonal color palettes, Four Seasons of Fairies is a must for every project throughout the year. So let’s get creative and add some fairydust to your world of crafting! Four Seasons of Fairies consists of 14 papers in the size 12×12”, including two image sheets, as well as 4 single sided papers in 12×12” with 4 designs in 6×6”. Within the collection Pion Design Palette you will find heavier weight papers that will make a perfect match.